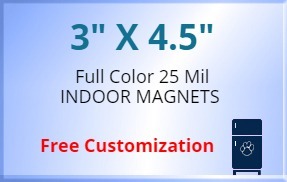 3x4.5 custom magnets 25 mil square corners is especially favored by advertisers who are aiming at long term promotions with one time investment. 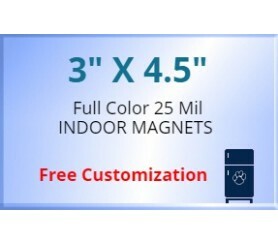 This magnet is also utilized for outdoor promotions in a controlled manner. Advertisers working in extremely constrained budget can always think of this kind of investment because it will bring benefits in a long run.